Let your imagination run wild with the design possibilities offered by the Jefferson solid ash door. The large number of accessories applicable to the range gives you unlimited choice when it comes to creating a style all of your own. 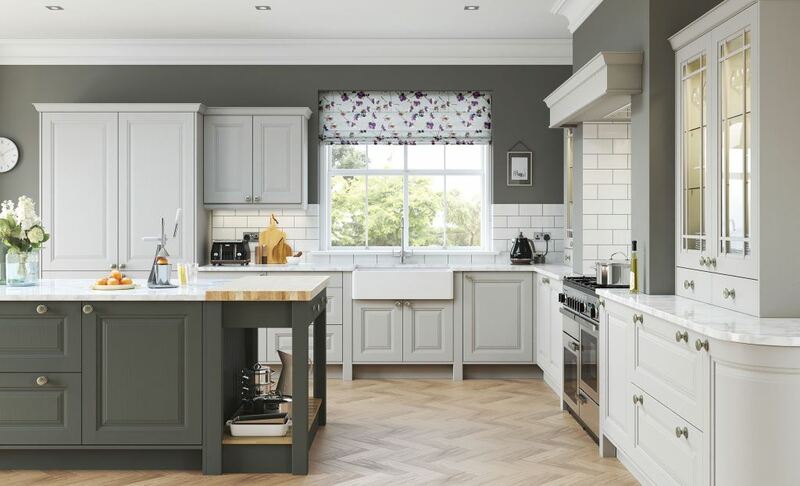 The Jefferson is also available in with a choice of 23 painted colours which you can view here. 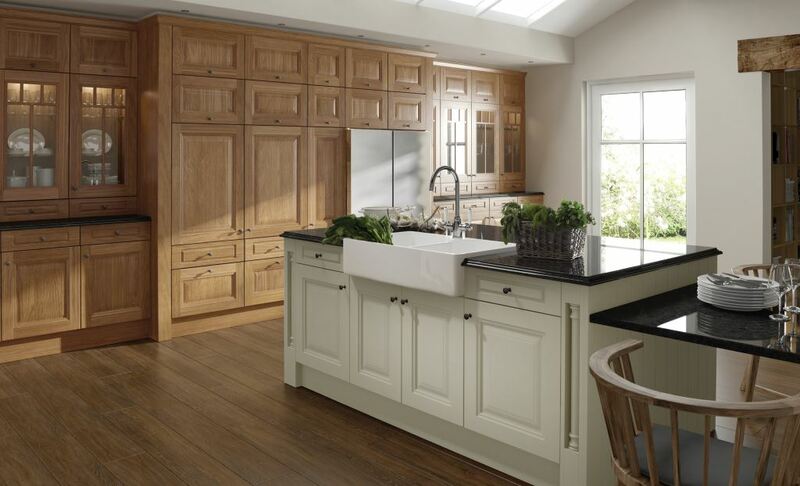 As part of our classic kitchen collection the Jefferson is also available in an oak or sanded finish. You can view the Jefferson oak here. The light grey, on the right, has been combined here with the gun metal grey which forms part of the painted colour finish available with the Jefferson. 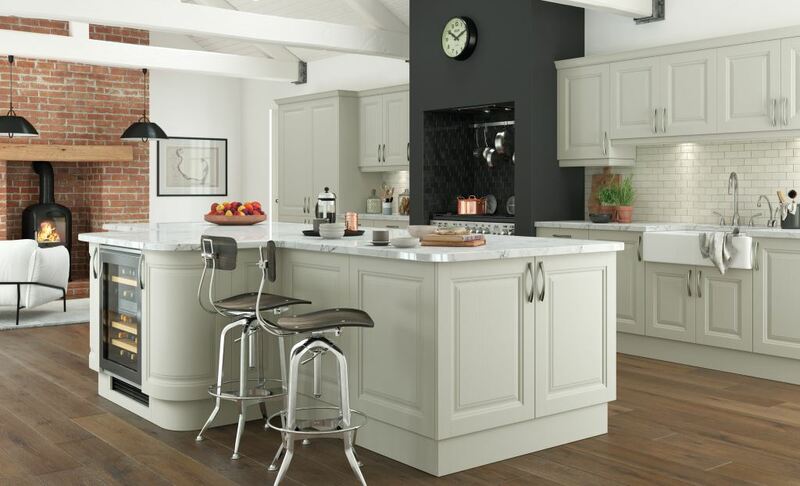 The Jefferson is a versatile kitchen offering many door styles and accessories together with the many colour options. These colours can be combined or look great as a single colour as shown with the mussel.